With their different scents, flavours, shapes and colours, herbs and spices are fascinating to explore with young children. Herbs and spices have a surprising number of uses. The most obvious is culinary, but they also make a great resource for art, craft, gardening and different types of sensory exploration. 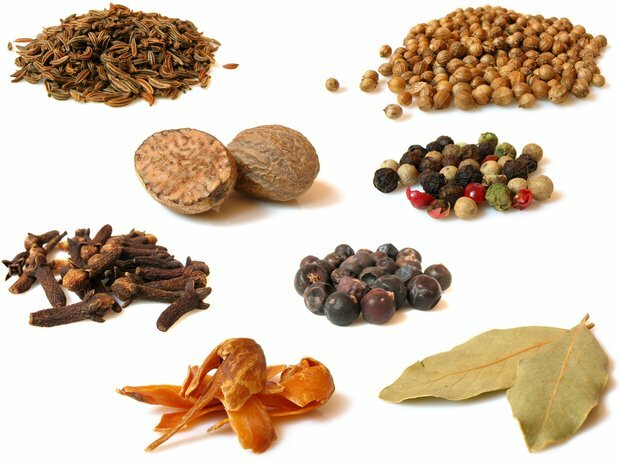 Try the following activities and help your children to discover the wonderful world of herbs and spices. Choose herbs that grow well from seed such as sage, thyme, parsley, chives or coriander. Have a pot with a hole in the bottom for each herb and place gravel in the base of the pot for drainage. Fill the pot with potting compost, sow the seeds thinly and cover with more compost. Water the compost so that it is damp. Place the pots on a sunny window sill (most herbs need plenty of sunlight) and water when the compost gets dry. Take care not to overwater. Involve the children in each part of the process and encourage them to use all their senses. Look at the size, shape and colour of the seeds and explore how the texture and smell of the compost changes when you water it. What happens to the water when it’s poured into the pot – and how do you know when you’ve added enough? 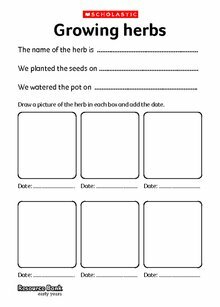 Keep a ‘herb growing’ journal, with photographs, drawings, captions and labels recording the different stages of the process. Make a note of how often you need to water the pots and how many days it takes the seeds to germinate. Compare the tiny seeds with the fully grown plant and include photographs and drawings of the seed and the plant side-by-side.